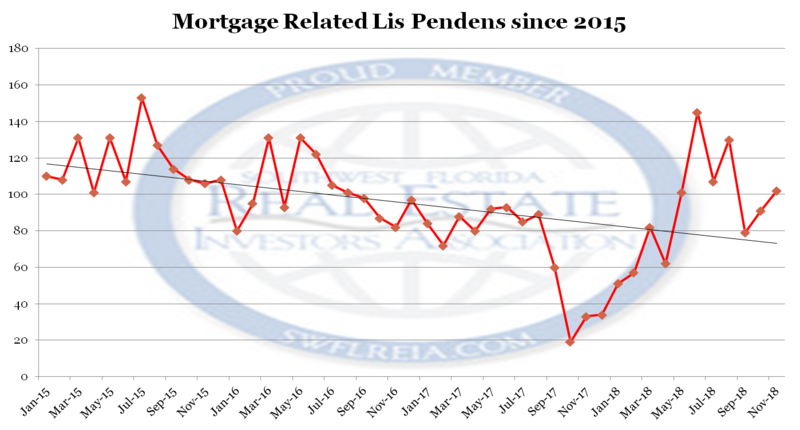 November 2018 Foreclosure report for Lee County: Trends at a glance. November 2018: 41 Certificates of Title were conveyed. September 2017: 51 Certificates of Title were conveyed. 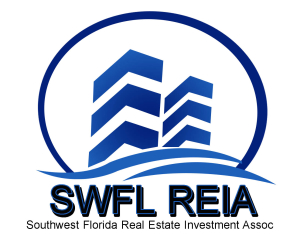 November 2018 Foreclosure report for Lee County: Top Ten Filers for Lis Pendens. November 2018 Foreclosure report for Lee County: Charts. 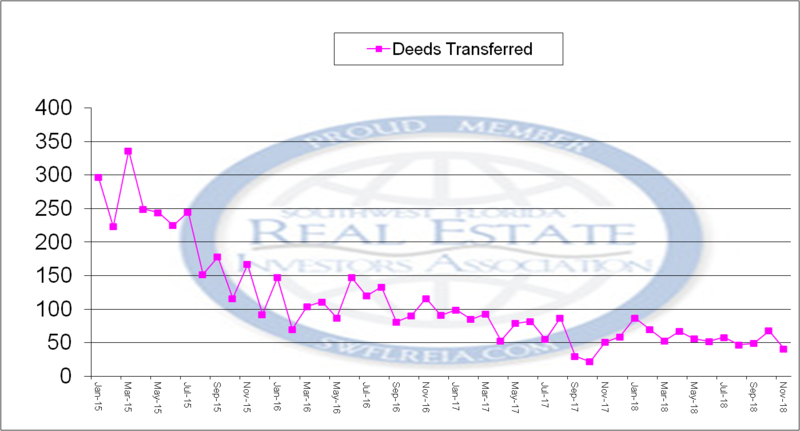 This chart shows the total amount of deeds transferred via a certificate of title. 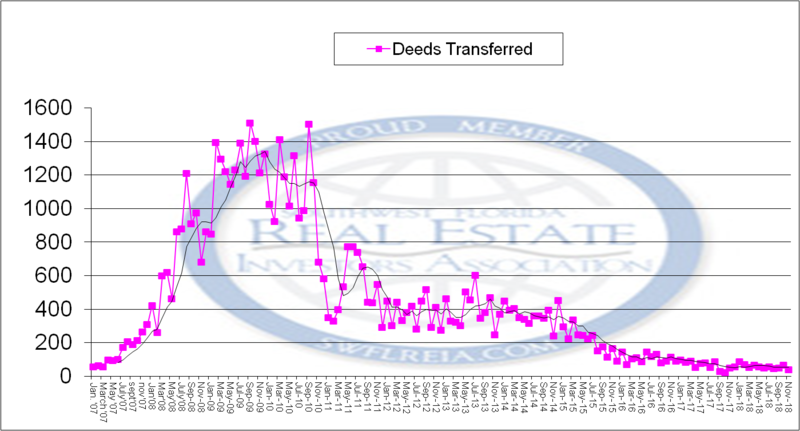 This chart shows the total amount of the deeds transferred via a certificate of title since 2015. 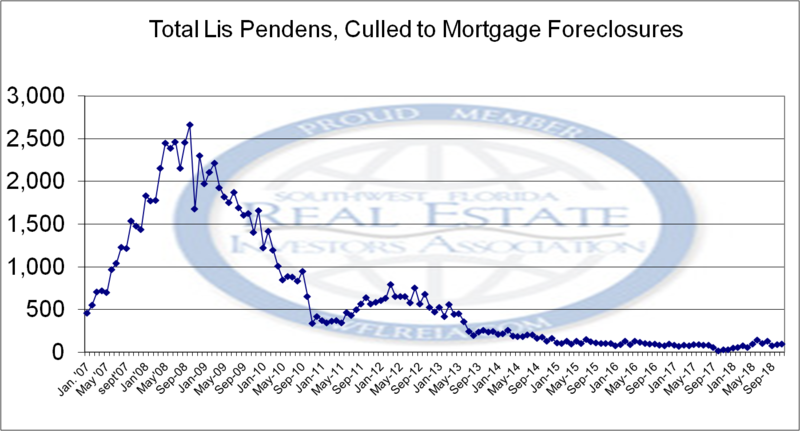 This chart shows the current and the last trend for Lis Pendens filings in Lee County Florida. 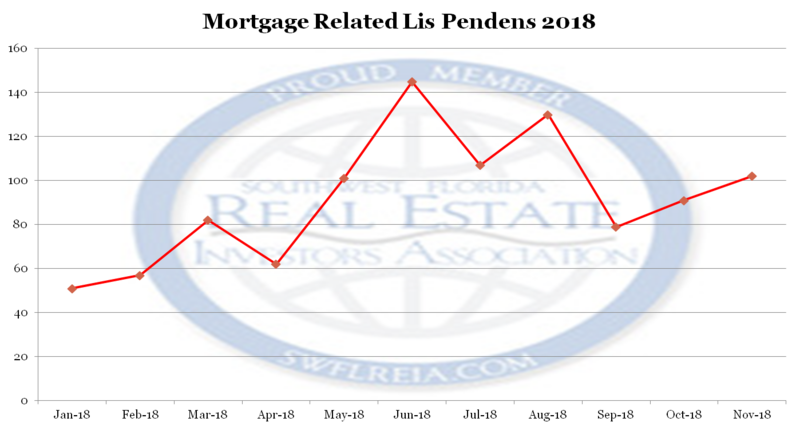 This chart shows the Lis Pendens filings for Lee County Florida since 2015. This Chart shows the Lis Pendens filings for 2018.